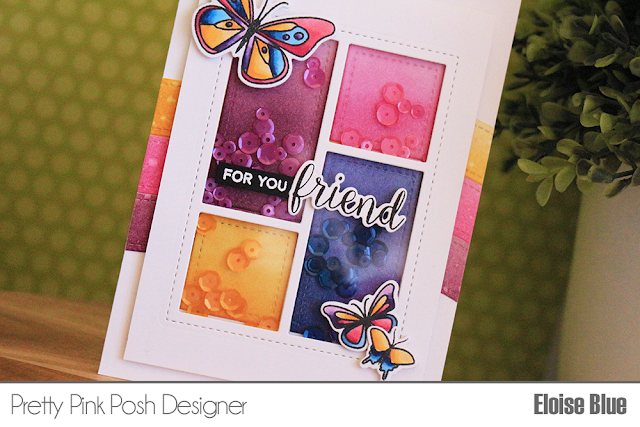 Hi friends, I'm over on the Pretty Pink Posh blog and YouTube channel today using the brand new limited time only stamp set. 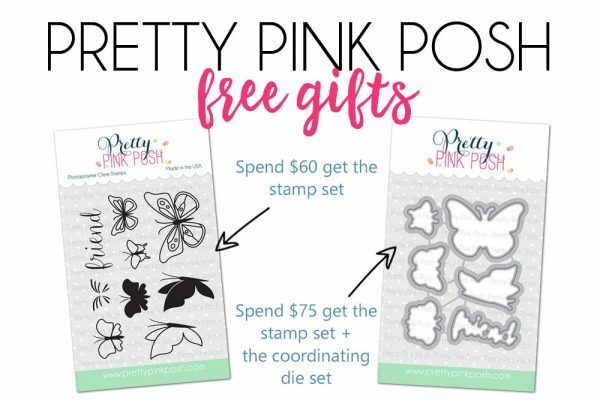 Pretty Pink Posh just celebrated their 4th birthday and in celebration there is a stamp set you can get with qualifying purchases. 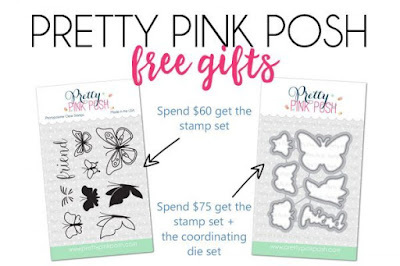 You need to spend $60 to get the stamp set or $75 to get the coordinating die set also, remember this stamp set is only available while supplies last. Above is the card I made using the brand new set along with the Storybook 6 dies and Party Time mix. Go on over to the Pretty Pink Posh blog to see how I made this card and to know all the information or the video is linked down below.